Poland isn’t typically a destination many Canadians look to when dreaming of a European experience.The likes of Italy, France, and Spain usually beckon first, and while those exotic countries are worthy of all the praise they get, offbeat travellers who venture between Polish borders will be highly rewarded for doing so. You think you know pierogies? There are nearly one million Polish Canadians, and one of the greatest things they brought over is the almighty pierogi. If you’ve ever tried making them yourself, you’ll know what a labour-intensive process it is to make these little dumplings of goodness. Eating made-from-scratch pierogies from their homeland is a treat you shouldn’t miss. Save your valuable travel dollars. The countries in eastern Europe remain the most affordable on the continent, and Poland is no exception. Fill your belly with a plate of pierogies, a stick of kiebasa and a large beer for no more than $10. Accommodations are well-kept with low prices, and one of the greatest attractions in the cities is to explore the beautiful parks (Warsaw alone is nearly one quarter green space) —and that is always free. 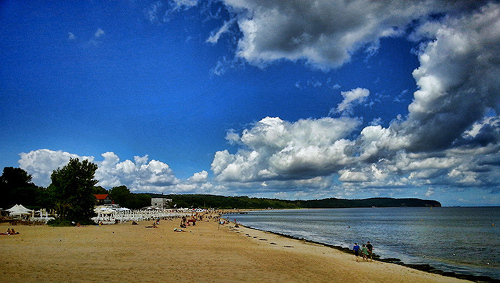 One of the best-kept secrets in Europe is the stunning Baltic Sea coastline with its fine white sand. Poland meets the Baltic for 700 kilometers in the north, and while the water may be a little chilly for other visitors, it’s nothing some hardy Canadian polar bear dippers can’t handle. The first shots fired in WWII were just outside the northern city of Gdańsk, and Poland fell mere days afterwards. The struggle for freedom from communism also began in that area, and set the stage for the iron curtain to fall throughout eastern Europe. Visits to the Warsaw Rising and Auschwitz will humble you like nothing else. There are enough museums and monuments in Poland to keep twentieth-century history enthusiasts enthralled for weeks. Dalene is a digital nomad who has been travelling the world with her husband since 2009. Follow her journey at: http://www.hecktictravels.com. 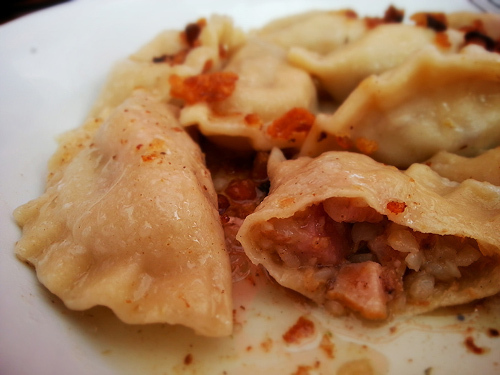 Would you say that Poland is worth travelling to just for the perogies?